The Nebraska High School Rodeo season kicked off in McCook on April 22-23. Morgan Darnell and Clayton Symons from Mitchell, Neb., placed tenth in the team roping. Hyannis hosted the rodeo on April 29. Blake Henry placed fourth in the steer wrestling. 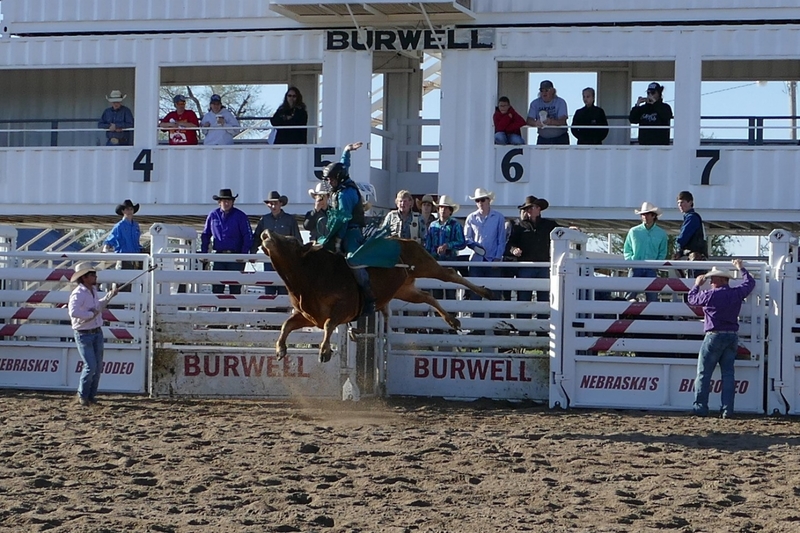 On Sunday, April 30, they traveled to Arthur where Conner Halverson placed second in the bull riding and Morgan Darnell won the breakaway roping. They also competed at Burwell. Hay Springs senior Drew Letcher, left, finished in first place at the Panhandle Conference golf tournament. Morgan Darnell has seen the inside of more surgery rooms than she’d prefer. The Gordon, Neb. cowgirl, a member of the Nebraska High School Rodeo Association, has had four surgeries in the last four years. 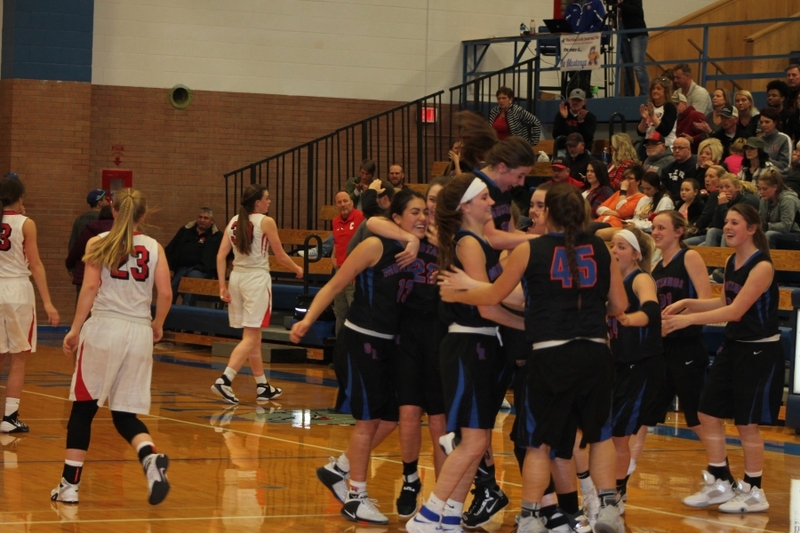 The Hay Springs Lady Hawks basketball team concluded their season during subdistricts on February 14. The Gordon-Rushville Lady Mustangs played an exciting game of basketball on Tuesday, Feburary 14, in Alliance versus the Chadron Cardinals. 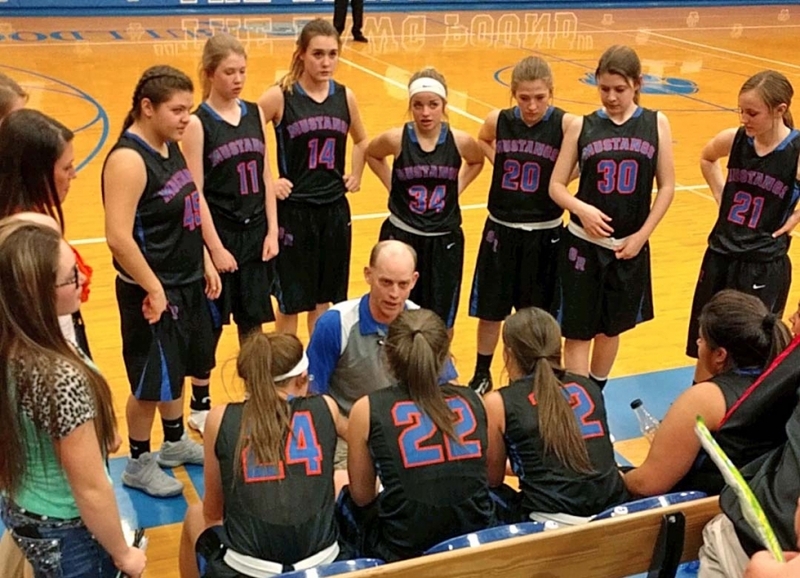 The Mustangs went into their first round of subdistricts with a record of 16-6. Chadron had a record of 11-11. 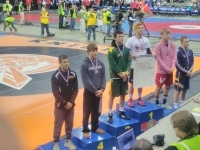 Four Mustangs and Four Hawks competed in the NSAA State Wrestling Championships in Omaha this past weekend. Only one Mustang, senior Logan Belsky, would survive to the final day of the 3-day-tournament. Belsky improved on his fifth place finish last year, capping a season which already saw his 100th career win, with a 4th-place medal. Thursday, February 2, marked the beginning of the 2017 Western Trails Conference basketball tournament. The Gordon-Rushville boys took on the Bayard Tigers during the first round at home. The Mustangs never let the Tigers score more than eight points in a quarter, and in the end, the Mustangs came out on top with a score of 65-31. This advanced them to the winner’s bracket. The first round of the Western Trails Conference was held at home for the Gordon-Rushville girls basketball team on Thursday, February 2. The Mustangs and Hawks will each be sending four wrestlers to the state finals in Omaha Feb. 16-18. 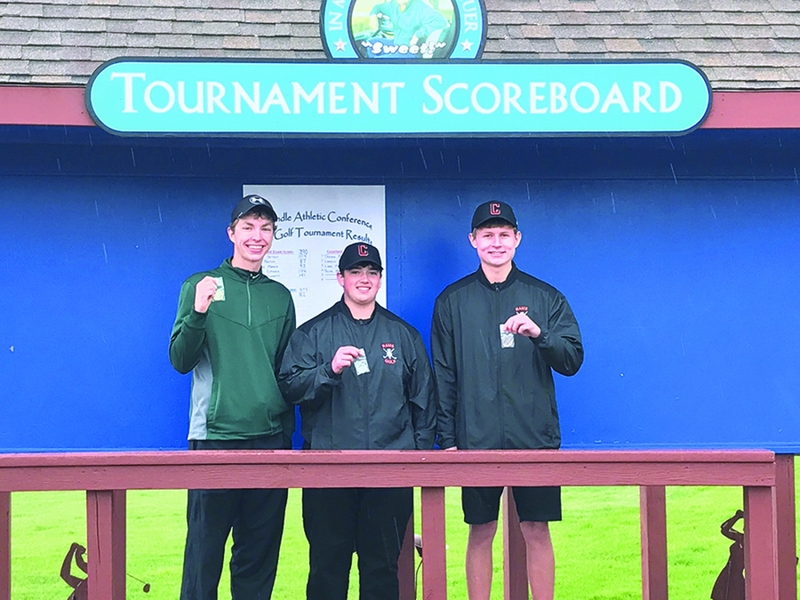 Gordon-Rushville’s Logan Belsky, Blake Henry, Quin Child and Tyrell Means all finished 3rd at the District C-4 tournament in Valentine this weekend to make the cut. Hay Springs’ Austin Anderson finished 4th, Coy Wolken took 3rd, Bryce Running Hawk finished 2nd, and Nathan Tobiasson finished 4th at the D-4 tournament. I’m a big Husker football fan. No, really, I’m a HUGE Husker football fan. So, you can imagine my excitement when I was offered the chance to have a sideline media pass to the Huskers’ game vs Purdue last Saturday. I usually attend a couple of Husker games each year, but this was an opportunity to get a much closer look at what goes on both on and off the field at a college football game. Youth football players from Gordon-Rushville, Valentine and Chadron gathered in Gordon Sunday, Sept. 25 for several games. The G-R 3rd and 4th graders played Chadron, and the 5th and 6th graders played Chadron and Valentine. 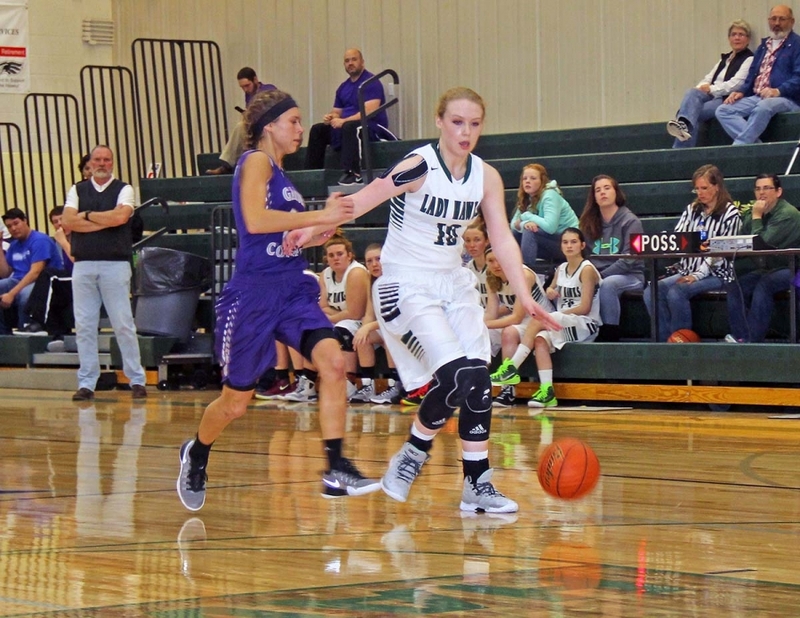 The team has also played Hay Springs and Crawford this year, and will host Lusk, Wyo. this Sunday in Rushville at 1:30 p.m. and play at Morrill next weekend. The Hay Springs Hawks football team competed against Sioux County for their first game in the 6-man league. The coaching staff told the players how last year’s record does not influence the success they can achieve this season. The Gordon-Rushville Lady Mustangs opened their volleyball season Monday night in Gordon, hosting the Scottsluff Bearcats. The Lady Mustangs came out on fire, running away with the first set 25-19. The Bearcats rebounded quickly, taking the second set 25-13. The Mustangs kept thing close for the next two sets, never trailing by more than a point or two in the third, but ultimately dropped both by scores of 25-19 and 25-15 to lose the opening match 3 sets to 1.